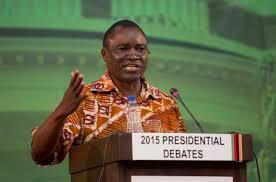 Green Party president Peter Sinkamba has described as outrageous, unthinkable and an insult to Zambians the proposal by ZESCO to increase electricity tariffs. Zesco on March 9, 2019 wrote to the Energy Regulation Board proposing upward adjustment in electricity tariffs with domestic consumers expected to pay more than 150 percent. Sinkamba said it was a pity Zambians had been taken for a ride by parastatals like ZESCO who have “capitalized on the docility of the general populace”. “You see, the general populace sacrificed a great cost to recapitalize ZESCO through the Eurobond loan in 2012, running in hundreds of millions. We were promised that once the recapitalization of ZESCO was complete, then power would be cheaply available to the nation and that was a plausible sacrifice the Zambians populace made,” Sinkamba said. “But today seven years down the line, ZESCO comes with weird excuses to justify the more than 300 per cent increase”. He said the proposal for a tariff hike is clear admission that the new equipment and infrastructure procured from the Eurobond and Chinese loans were sub-standard, hence the higher generation costs. “Under normal circumstances, such incompetence deserves instant dismissal of all management and board of officials involved,” Sinkamba said and asked President Edgar Lungu to intervene and stop ZESCO from proceeding with a tariff hike. ZESCO managing director Victor Mundende in a notice of intention to revise retail tariffs justified the proposed adjustments saying Zambia’s inflation rate as measured by Consumer Price Index had remained relatively stable in 2017 and 2018. He stated that that meant that prices of goods and services had been rising at a steady rate every month and had resulted in the steady increase in Zesco operating costs over time. Mundende said lending rates had continued to rise from 2017 through to 2018. “This entails a higher cost of debt for both existing and new short-medium term debt impacting on project implementation by both the public and private sector,” he stated. Mundende further stated that the fluctuation of the Kwacha against the major convertible currencies had led to higher operating costs. Last week, there was leaked communication between Zesco management and Patriotic Front general secretary Davies Mwila about a payment to the latter. Zesco director of finance confirmed a payment of K3million to Mwila against a request of K10 million, with the public power utility company promising to pay the balance later.